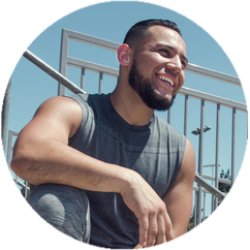 Ivan Barrera is a business coach and the owner of Faster Fitness Inc., in Orange County, California. Ivan grew up with very humble beginnings and decided early on that an expensive education and 9 to 5 job was not for him. As a college dropout, he was driven by his passion to make his clients better every day. Ivan attributes his very successful businesses to his commitment to learning from elite mentors along the way. He has developed a deep passion for sharing his with other like-minded entrepreneurs.